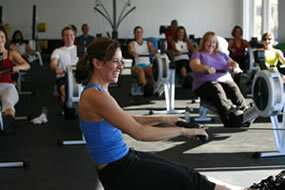 Qualified indoor rowing instructors are located throughout the US and Canada. If your health club is interested in training staff and members on indoor rowing technique, setting up a group rowing class, or providing a variety of use options to your club members, please contact one of Concept2’s dedicated rowing champions (search the list below). Several of our authorized dealers offer training in their countries. Visit the Authorized Global Dealer Listing to find dealers who offer training services. Enter City, State, Country or a combination of all three. Interested in becoming an indoor rowing instructor? You're in luck! Instructor training is offered by UCanRow2. Many workshops are held throughout the year at several locations across the US.